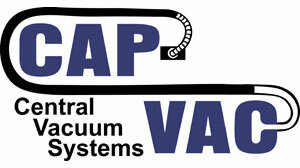 CAP-VAC has been selling, servicing, and installing central vacuum systems since 1979. We service the Dallas, Ft. Worth, and North Texas Areas specializing in residential and commercial applications. 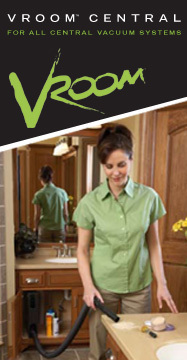 CAP-VAC features Vacuflo and Vacu-Maid True Cyclonic Power Units, Disan Power Units for Multi-User's Systems in commercial and custom residential applications, Hide-A-Hose the Retractable Hose System, and Vroom Quick Clean System. CAP-VAC services all makes and models of central vacuums. We also sell many products for both the homeowner and commercial use. Please call us if you have any questions. Convenient and easy to use and it will not break! Just a slight touch with your toe activates the VacPort sweep inlet valve. Just sweep the dirt toward the opening and let the power of your central vacuum do the rest. Great for use with any remote vacuum system in the kitchen, utility room, bathroom, workshops, hair salons or any sweepable area. CLICK HERE for more info. 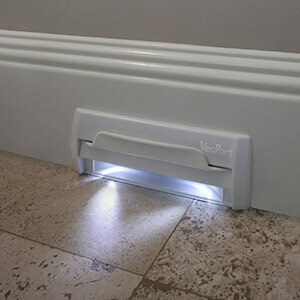 VRoom is ideal for quickly cleaning up small spaces and dry messes in high traffic areas of your home. It's instant accessibility makes it a great addition to your more-through weekly cleaning regimen. Vroom has a brand new feature of garage-mount capability.